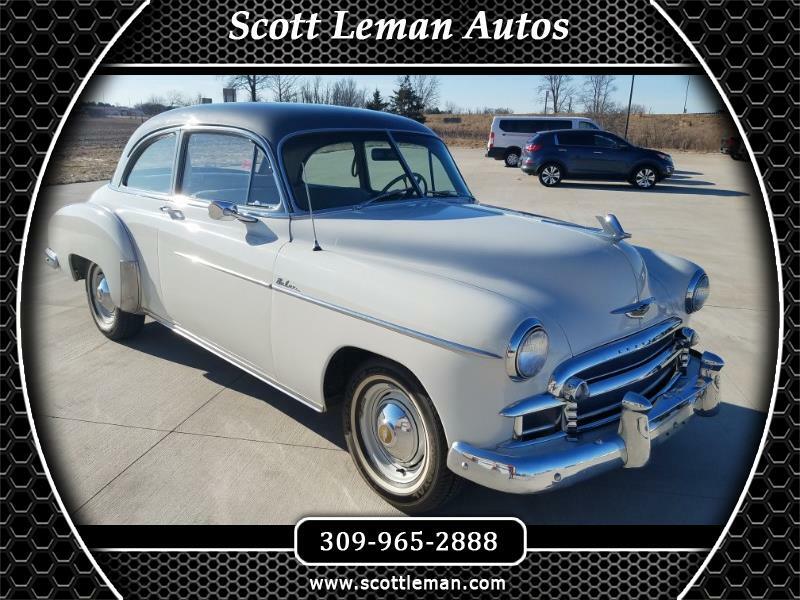 This Chevrolet Deluxe Sedan is in excellent condition and has been kept in a garage. Originally from Nebraska, this car has only had 2 owners. It is equipped with a 235 cubic inch 6 Cyl, and has a 2 speed Power-Glide Transmission. There are 2 fender skirts that fit over the rear wheels. This car has obviously had excellent care and is ready to be shown at any venue. Scott Leman Autos is located in Goodfield Illinois. Message: Thought you might be interested in this 1950 Chevrolet Deluxe.